Disasters - whether it's a hurricane, flood, fire or tornado - can be devastating to families, museums or businesses. Often times, priceless artwork, sculpture, pottery, instruments or jewelry are damaged or lost. Pendragon 3D can offer you a piece of mind by scanning your precious objects into 3D. By scanning objects into digital 3D form, it provides amazing detail of the original object. So in case of disaster, you will have the ability to identify damage at the nanometer level for restoration purposes. In severe cases, where the artifact has been completely lost, we are also able to create a complete likeness replica of the original object. “Learning about our past helps us understand the present." 3D technology is allowing us to share information about ancient artifacts more widely, and more detailed than ever before. Objects scanned into 3D can be studied virtually or replicas can be made without damaging the original piece. 3D digital rendering and 3D printing is an amazing way to allow for the spread of information to schools, colleges and museums..and to educate the world! Pendragon 3D's services can help you scan your artifacts (whether from a museum, or personal collection) for further educational use. Use the form at the bottom of the page to get in touch! Fun Size Me 3D collaborated with the North Carolina Museum of Art, NCSU basketball player Wyatt Walker, and artist Larry Heyda to recreate a close match for the arm of a 2nd century Roman Bacchus Statue. After consulting with engineers, artists, scientists and scholars it was decided that Walker's size and statue was well-matched with the proportions of the statue, so was chosen to be scanned into 3D to help recreate he missing arm. The 3D scan taken will help Larry, in carefully recreating an arm that fits the sculpture. We are excited to see the finished piece when it is completed! Read the full recent press release from Art Daily. Image courtesy of the NC Art Museum. Interested in learning more about 3D in protecting, preserving and sharing pieces of history? Pendragon 3D offers educational programs! We offer educational programs to students, businesses and organizations interested in learning more about the newest 3D technologies and their applications. 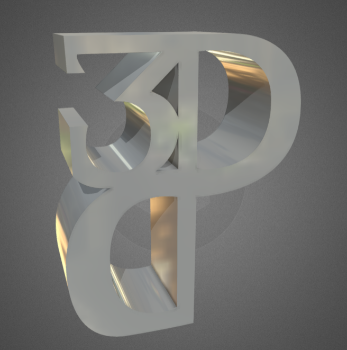 Pendragon 3D will help identify resources and technologies to help you succeed in whatever your goal may be. For example: A college is looking to have a founding statue preserved in 3D in order to recreate it if something happens to it. Contact us to see how we can help protect, preserve and share your treasured possessions using the form below!